I think I got away with it. Actually, who am I kidding? I definitely didn’t. Over the years, I’ve heard lots about pregnancy cravings. For some it’s pickled onions, while others prefer ready salted crisps. My wife, it seems, wants McDonald’s chicken nuggets. Or “McNuggets” if I’m to give them their proper name, because when they remove all the chicken and replace it with cardboard, it can’t be just any old nugget. Now, anyone that knows my wife would probably say that this isn’t a pregnancy craving, as she is a well-known fan of Ronald and Co. 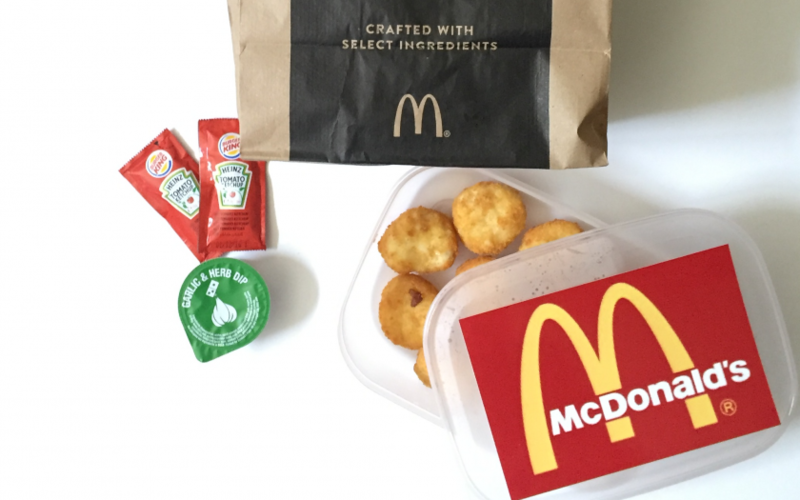 I have spent many Sunday mornings sitting in the drive-thru wondering how anyone with a Range Rover can get around this car-sized assault course without scraping their bumpers or losing a tyre in the process, all in the pursuit of a chicken nugget Happy Meal to keep Mrs TDV happy after a night out. If it’s been a particularly heavy night, a 20-piece sharer box might even be in order. This brings me nicely to this morning. As I was having my first sip of my coffee (which was well-deserved after my mild panic when I thought I’d broken my Nespresso machine by forcing out a cheapskate non-Nespresso capsule that didn’t quite fit properly), Mrs TDV used her quiet voice that she uses when she wants me to do something for her. I know this voice well. Very well. “We have some in the freezer, I’ll cook those for you,” I said, as I got up to go to the kitchen, hoping that my swift exit would mean that I wouldn’t be convinced into getting dressed and joining the queue in the aforementioned assault course. But I was too slow. “No. 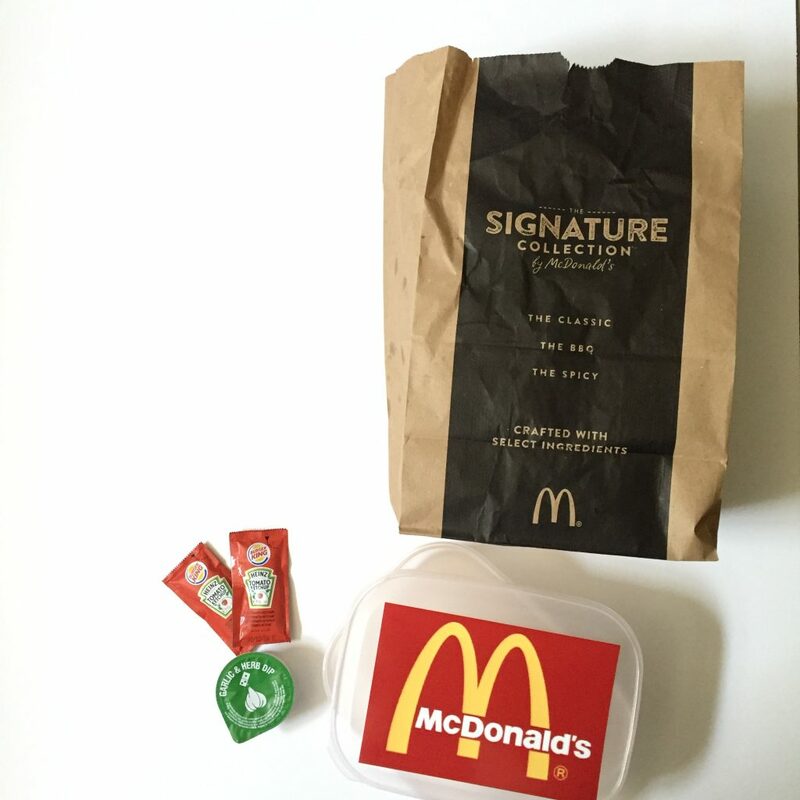 I want the cardboard ones from McDo,” she said before I had the chance to leave the room. You see, we’re very cultured in our house and call our local American burger restaurant ‘McDo.’ That’s what the French call it. And they’re proper foodies, so that makes it slightly more acceptable. I didn’t get away with that one either. “Fine, I’ll go to McDo for you,” I said as I gave in to the pressure. But as I am cunning, I was hiding a secret: I had no intention of going to McDo, least of all because I’d have to put my shoes on. Instead, I disappeared into the kitchen. 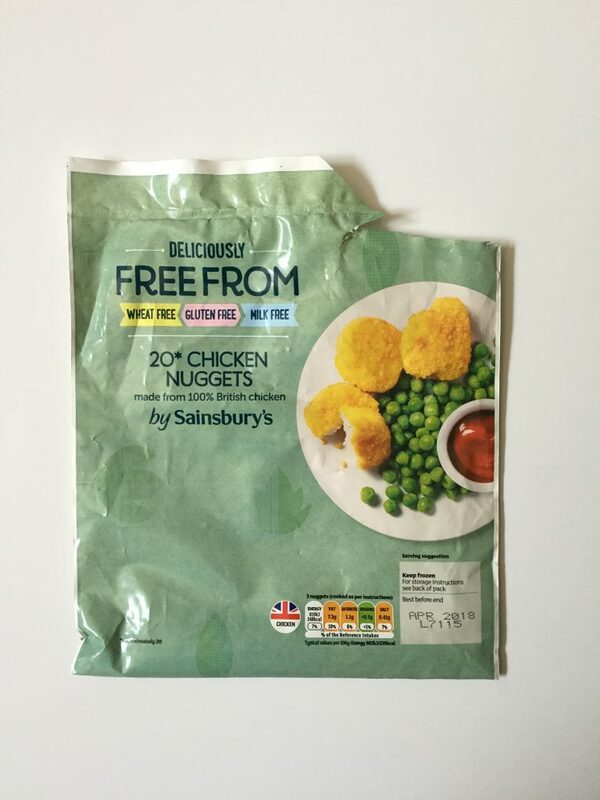 Oh and I eat gluten-free food, so that’s why we have these posh ones just lying about in the freezer. To keep myself busy, I set about creating the next step of my dastardly plan: adding the McDonalds logo to the food and fishing a McDonalds bag out of the recycling, meaning that I’d definitely trick her. 100% foolproof. 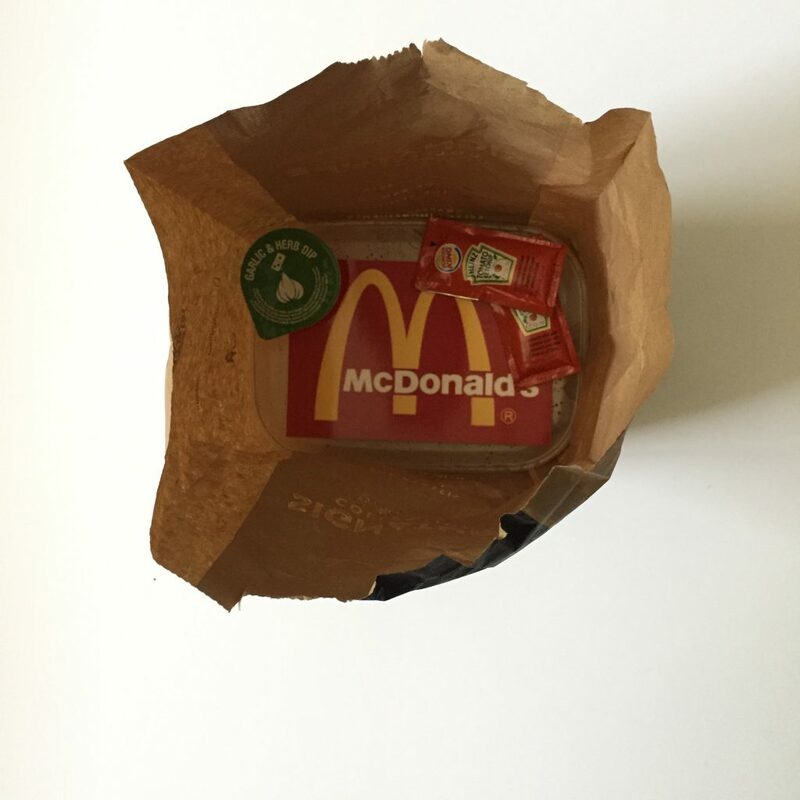 We didn’t have any McDonald’s ketchup pots in the house, due to the chicken nugget addiction that exists in our house (see above), but I managed to find 2 Burger King sachets and a Domino’s dip. I’ll just say that they’d run out of McDonald’s ones. That’ll convince her, definitely. I don’t think I got away with it. Nevertheless, they were all eaten and I didn’t have to put my shoes on. An all-round success, if you ask me.